These two biblical brothers birthed the family feud. The sons of Adam and Eve, Cain and Abel grew up outside the Garden of Eden thanks to Mom and Dad's fruit binge. Firstborn Cain worked the fields while Abel tended the sheep. 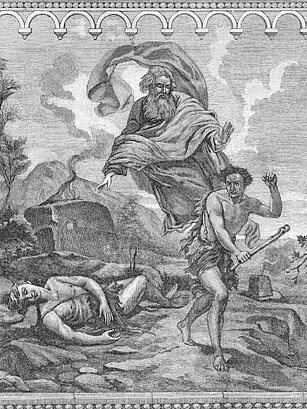 According to the story in Chapter 4 of Genesis, when God favored Abel's sheep offering over Cain's garden sacrifice, an enraged Cain killed his brother, thus introducing murder to the world. God sent Cain away to live "east of Eden" in the land called Nod. But in a last-minute moment of grace, God put a mysterious mark on Cain to save even the killer from being killed by strangers. See the top 10 surprising facts about the world's oldest Bible.